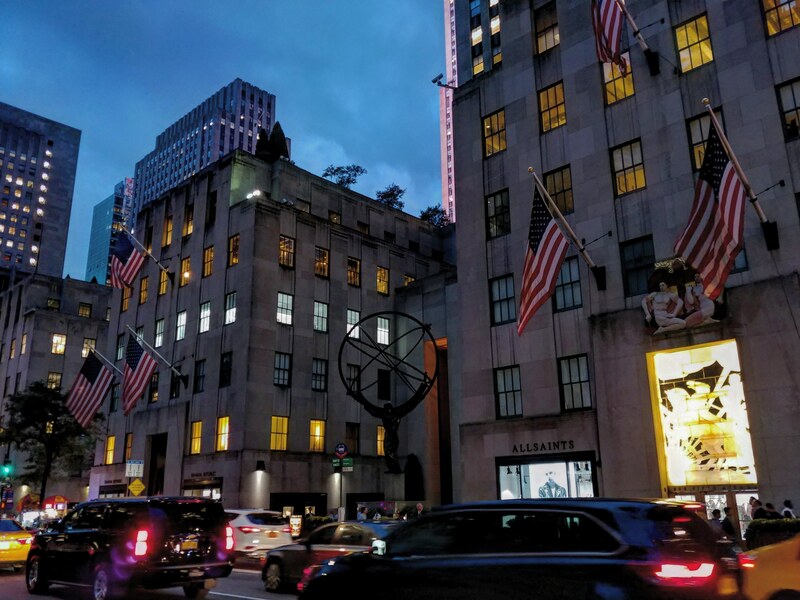 The dark purplish-blue sky seemed to drape over the mixture of stone carved buildings contrasting with metal and glass skyscrapers looming above me in midtown Manhattan. It seemed like, overnight, we were losing more daylight as the mystic night came in fierce and fast, taking with it the frivolity of summer to replace it with a sense of wonderment of the mysteries that wait for us to discover them. 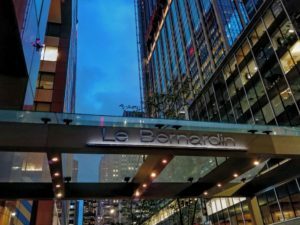 I was going to Le Bernardin for a wine dinner celebrating the 30 year friendship of Alain Dominique Perrin (who is famous in the luxury world for spearheading the renaissance and international development of Cartier) and Michel Rolland (who is one of the preeminent wine consultants around the world) and their collaboration of Château Lagrézette. 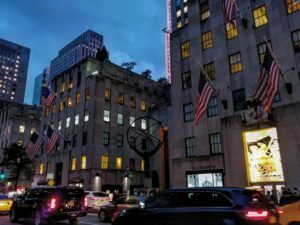 I practically never go to evening events while I am home in New York City as I like to keep farmers’ hours when I can and there is nothing more important than having dinner with my husband. Additionally, I like to have deeply personal and intimate conversations with wine producers, as my focus is on the human condition; a large celebration, and especially an evening event at a formal restaurant, is usually not conducive to such an intention. 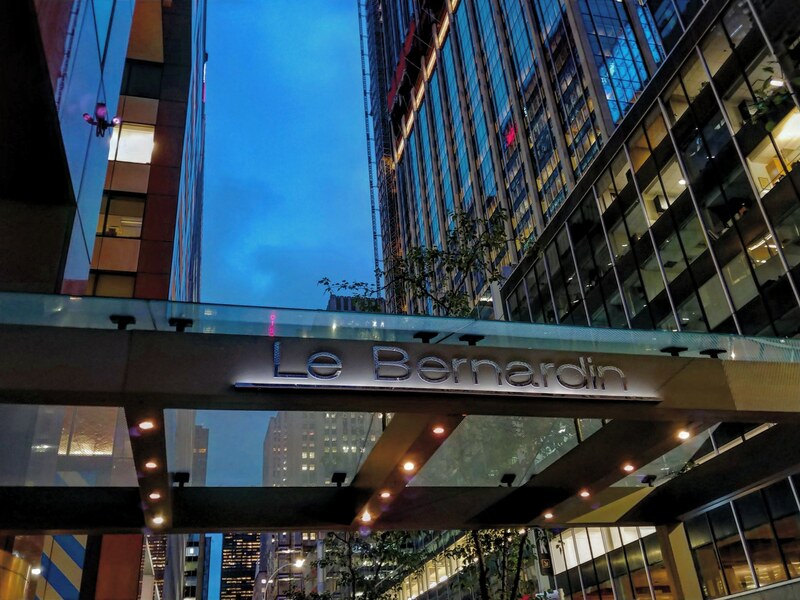 Around three years ago, I received an invitation to a small dinner with Alain, my first meeting with him, as well as only a couple other media people, at Le Bernardin. 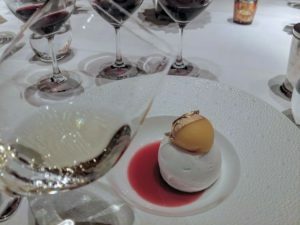 Despite my rule of not going out for dinners and fear that the formal atmosphere wouldn’t be conducive to soulful conversation, I could not help but be tempted, as a wine nerd, by the idea that Château Lagrézette, an estate in Cahors, made Viognier wines. 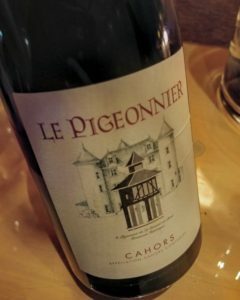 Anyone who had the guts to make Viognier in Cahors I had to meet. It ended up being a night I will not forget, filled with deep conversations as Alain was a man who liked to cut through the BS and get to the heart of the matter, and the people he surrounded himself with were real, thoughtful and approachable. And so I knew that I wanted to be a part of this celebration as I admired the man. It was also a great opportunity to get to know more about the friendship he had with Michel Rolland, as well as meet the human being behind the “famous wine consultant” label who has seen more than his fair share of unfair caricature-like portrayals. 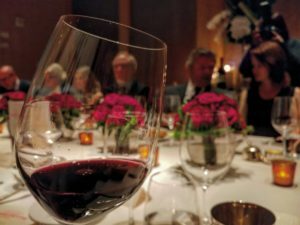 The celebration dinner had around 20 people in attendance and included such luminaries of the wine world such as Kevin Zraly. As I was enjoying a bubbly aperitif while talking to Mike Colameco (a 45-year veteran of the restaurant industry and today is the host and producer for ‘Mike Colameco’s Real Food’ television show on PBS) about the importance of gratitude, an exchange of chance that clutched at my heart happened… Mike approached Kevin Zraly and said that many years ago he worked in the kitchen of Windows on the World restaurant, which was located on top of the North Tower of the World Trade Center, and as many of us know, was destroyed, along with many of Kevin’s former colleagues. From 1976 to 2001, Kevin Zraly was the wine director at that legendary restaurant that helped to shape the American wine scene as we know it today. After 9/11, he struggled with deep depression and left the wine world for a time. Thankfully for us, he came back and devoted most of his time to teaching and inspiring others about wine, while he himself was renewed by learning and being inspired by others… still to this day finding excitement in the various ways people communicate about wine. It was a special moment that harkened to a time that none of us will forget, remembering those that will never be forgotten, and the knowledge that it is always important to never get stuck in one place, to keep moving towards the next unknown that will ignite our fire in different ways. 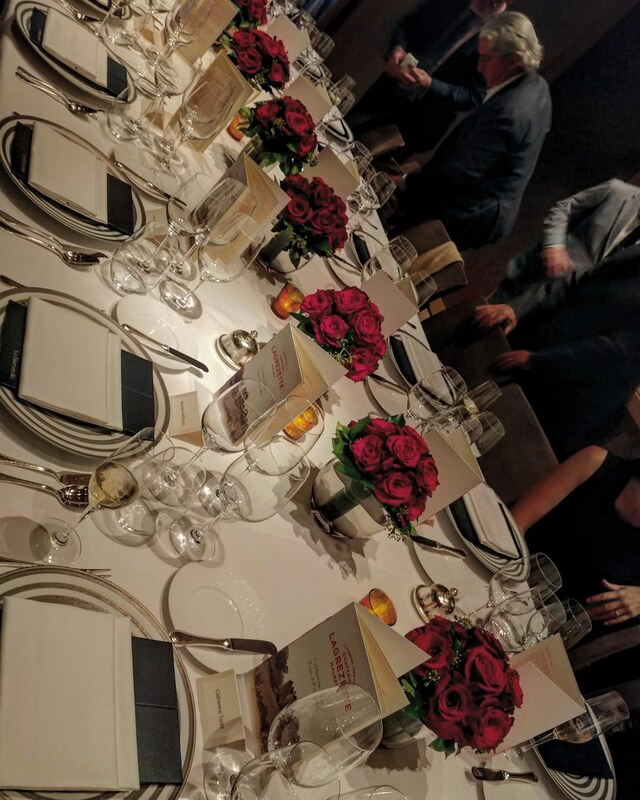 Before we started dinner, Alain introduced himself saying, “I am Alain Perrin and I am the owner of Château Lagrézette and that is all I am. The hero is Michel.” Alain spoke a little bit about the history of Château Lagrézette, it being one of the oldest wineries in France, going back to the 15th century with Malbec vines planted. Alain said he possessed a document that suggests that the first vintage of Château Lagrézette was in 1503, and although there were other artifacts found in the château that link it to being around since the 13th or 14th century, the oldest official document Alain could find that points to the winemaking of Château Lagrézette was the aforementioned. It was wonderful to witness the interplay between Alain and Michel, long-time friends and partners in resurrecting Château Lagrézette, both amazed at how this historic estate, tucked away 31 miles (50 kilometers) north of Cahors, has given them more surprises in its diversity of soil that creates Malbec wines that express different terroirs, as well as some sections being ideal for premium Viognier wine which is only traditionally seen in Northern Rhône, France. 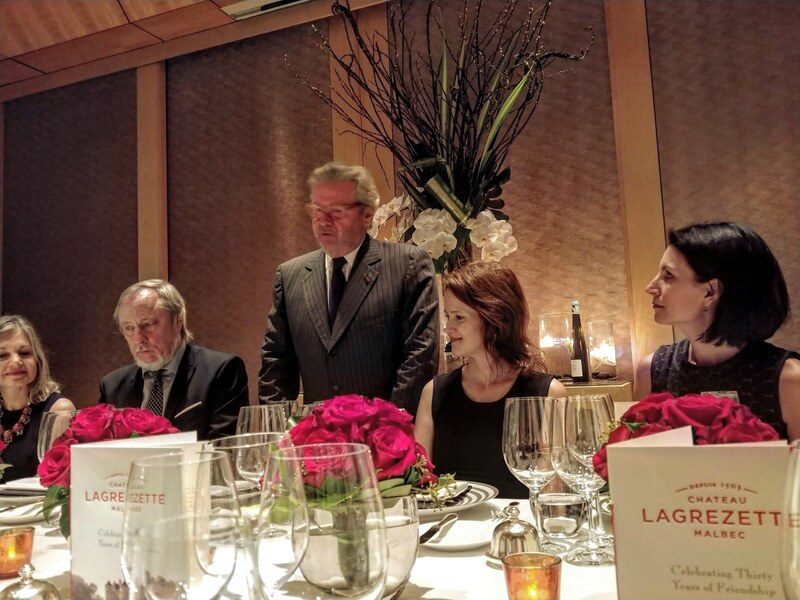 One of the things that was so refreshing about Michel Rolland was his excitement to find the new frontier of wine, joking that he would love to go in one of Elon Musk’s shuttles to plant vines on a new planet, so he could experience and learn something completely new; Château Lagrézette was, in a way, a new frontier for a man born and raised around 155 miles (250 kilometers) from Cahors in Pomerol, Bordeaux… a legendary wine commune now, but back when Michel was young, it was quite an unknown wine appellation. He has been completely taken aback by the sophisticatedly complex wines that each parcel is capable of and while he never really thought that he would be making Viognier, when he had seen the results from particular plots of Château Lagrézette, it made him a fan of this variety. It was thrilling to be around two men who have lived a pretty full life be more excited by the prospects of the future than they have ever been. 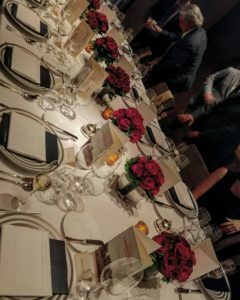 Lack of curiosity can smother us in ignorance, such as the little misunderstanding in regards to Château Lagrézette’s rightful place as one of France’s oldest wineries, and in a more detrimental way, can keep segments of society from ever seeing an argument from another’s point of view. 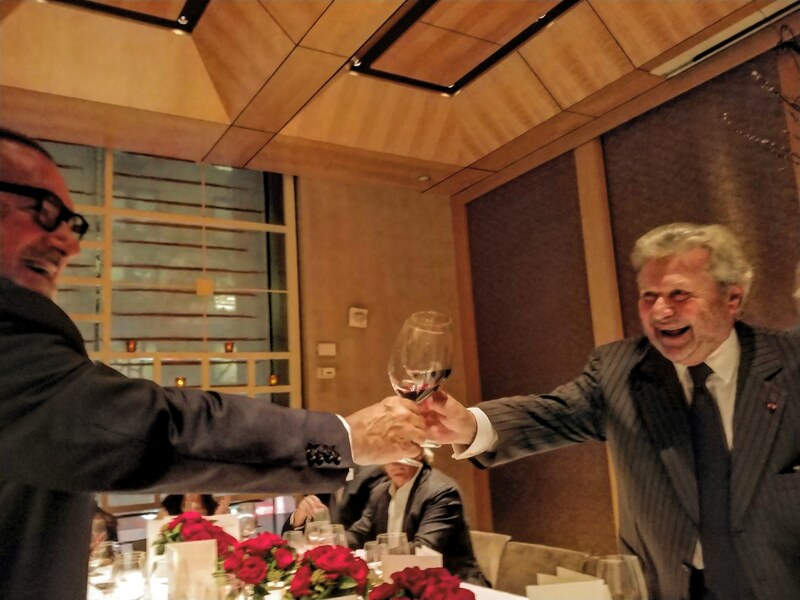 Encouraging curiosity can keep the glimmer in the eyes of one of the world’s most famous and prolific wine consultants, and can show someone a way to go on when their whole world has literally come crashing down. ***Some contribute the quote “Curiosity is the most powerful thing you own” to James Cameron but others question whether he was the originator of this quote. –2015 Le Pigeonnier Blanc: 100% Viognier. Intoxicating on the nose with clove and rose oil with juicy peach flavors on the rich palate with smoky minerality on the expressive finish. The Le Pigeonnier Viognier comes from a 2.5 acre (1 hectare) single vineyard within the 49 acre (20 hectare) Rocamadouor vineyard. Vines are 14 years of age and the yields are low at 25 hectoliters per hectare. The vineyard soil is alternating layers of dense chalk and a soft, permeable clay encrusted with marine fossils (Oestra Virgula). This wine was aged for 9 months in 40% new French oak and 60% in 2 year old French oak. 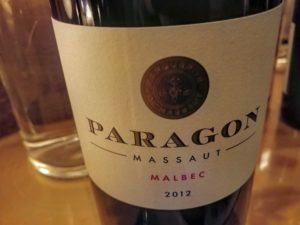 –2012 Paragon Massaut: 100% Malbec. Rich, sweet blueberry fruit with notes of violets and crumbly earth interlaced with the decadent fruit. A full bodied wine that had an elegant shape with firm yet polished tannins. 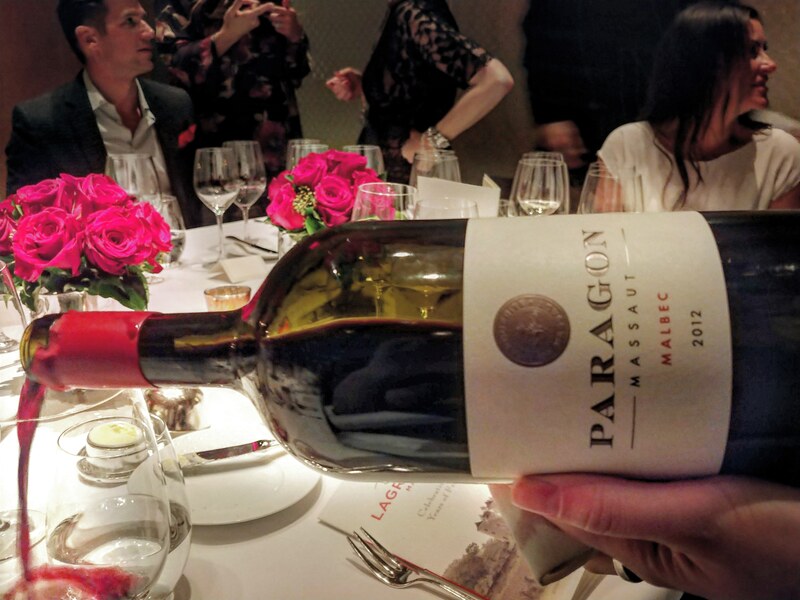 This 2012 Paragon comes from the Landiech vineyard – from 5 year old vines on the 3rd terrace; yields are extremely low at 25 hectoliters per hectare from gravelly soil. The wine was aged in new French oak barrels for 20 months. -2015 Mon Vin: 100% Malbec. An outstanding wine that had layers of complexity with cocoa dust and a hint of crème brûlée with forest floor, that had plenty of lush blackberry fruit… generous yet profound, rich yet dignified, and powerful yet nurturing, finished with an elegant decadence. The vines for the Mon Vin come from a miniscule plot of clay and gravel in their Caillac vineyard that are 35 years in age; extremely low yields ranging between 15 to 20 hectoliters per hectare. This wine was aged for 30 months in 100% new French oak barrels: alcoholic fermentation was conducted in 500-liter new oak barrels, then aged in 225-liter new French oak barrels for 30 months. 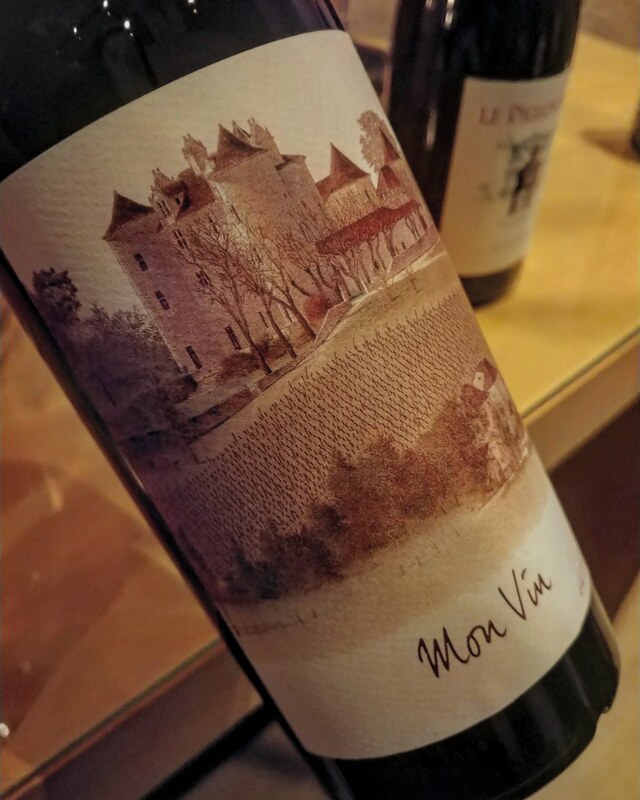 Mon Vin was a wine made in secrecy from Alain by Michel Rolland and Alain’s winemaker Claude Boudamani that would represent his intrinsic qualities that nourishes and firmly supports those around him. Michel decided on a unique bottle for this special wine but could not come up with a name, so when they told Alain about the wine made in secret and that it was supposed to be a wine that represented Alain himself… well, of course this revelation surprised Alain, who started to ask, “Mon Vin?” and so they decided that that would be the name. -1998 Le Pigonnier: 100% Malbec. This wine certainly made wonderful old bones with chiseled tannins and fresh acidity that was balanced by flavors of cardamom poached plums and baking spice that had lots of old world charm on the finish with a note of dusty earth. The 1997 was the first vintage of Le Pigeonnier Malbec, with Michel Rolland creating this wine with Alain Dominique Perrin. 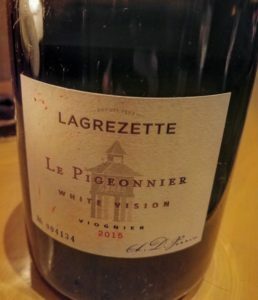 Michel recognized the distinctiveness of the soils and location of the vines that surrounded “le Pigeonnier”, a dovecote that is a structure that housed pigeons or doves, built in the 1600s. The Pigeonnier is a 6.7 acre (2.7 hectare) single vineyard adjacent to their Caillac vineyard near the 3rd terrace. The 1998 Le Pigeonnier Malbec was the first vintage of this wine to be vinified in a wooden tank. The yield was extremely low at 15 hectoliters per hectare. Grapes were harvested and destemmed by hand. The wine was aged 30 months in 100% new French oak from the Saury cooperage that has a great reputation making wide grain wood barrels that give soft tannins, respecting the wine’s fruit characteristic. 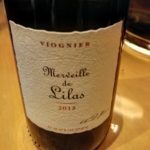 –2015 Merveille de Lilas, Noble Rot Sweet Wine: 100% Viognier. A sweet wine that was absolutely delicious and a rare treat with aromas of peach cobbler, baking spice and mandarin orange peel, with only a hint of enticing perfume on the finish. It has a viscous body that offered a bright acidity at the end. Merveille de Lilas is sourced from the oldest vines of the Rocamadour vineyard (limestone and clay soils) on Alain’s estate (14 years old). The dry days and humid nights allowed for the development of Botrytis (noble rot that concentrates the flavors and sugars) during September 2015; harvested the following October, the wine spent 12 months in new French oak. Previous Article “Gold Selection” by Estate Chrisohoou is out!